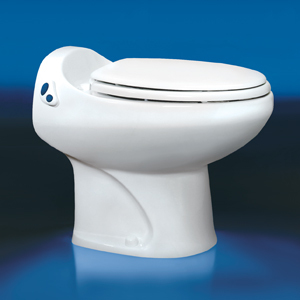 Thetford permanent RV toilet, Aria Deluxe II Low Proifle in White, is a new classic in sculptured China! 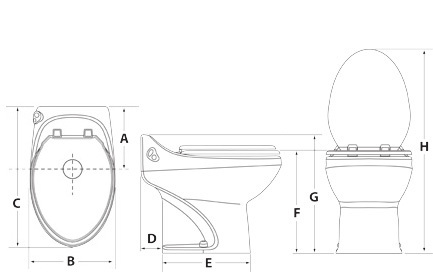 The Aria Deluxe II is a permanent RV toilet that has 2 flush modes. One-touch Walk-Away™ electric flush or a direct user controlled water-saving flush. Fingertip convenience -- just press to flush and walk away! 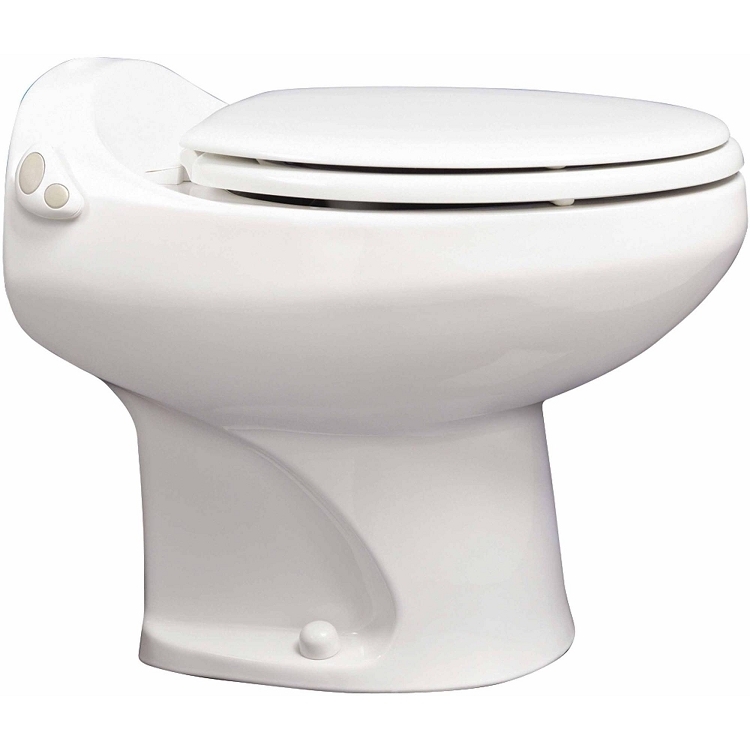 Pulsating flush provides superior bowl wash down and quiet performance. Uses about half as much water per flush as other brands. Elongated full residential-size seat and bowl. High profile (Shown above) seat height is 17-1/2". Low profile seat height is 13-9/16".